Join us for BBQ, no host bar, raffles, entertainment by Bobby & Steve. 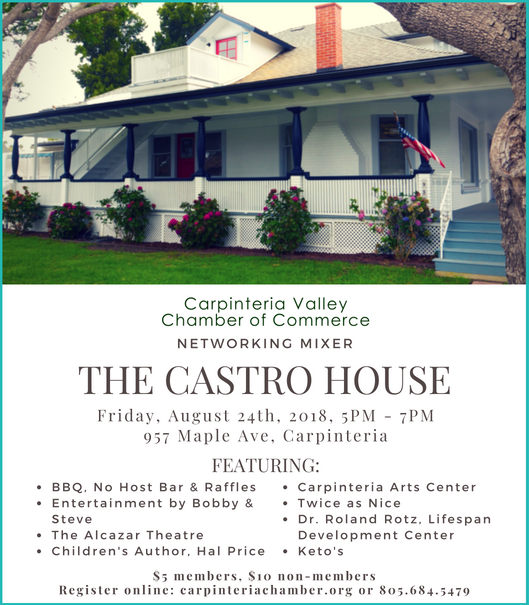 The Alcazar Theatre, Children's Author-Hal Price, Carpinteria Arts Center, Twice as Nice, Dr. Roland Rotz, Lifespan Development Center, and Keto's. Individual ticket cost is: $5 members I $10 non-members.